Physicians wrote significantly fewer prescriptions for painkillers and other medications for elderly and disabled patients who had legal access to medical cannabis, a new study finds. Medicare saved more than 165 million dollars in 2013 on prescription drugs in the District of Columbia and 17 states that allowed cannabis to be used as medicine, researchers calculated. Medicare is a national social insurance program of the USA. If every state in the USA legalized medical cannabis, the study forecast that the federal program would save more than 468 million dollars a year on pharmaceuticals for disabled Americans and those 65 and older. No health insurance, including Medicare, will reimburse for the cost of cannabis. Although medical cannabis is legal today in 25 states and the District of Columbia, federal law continues to prohibit its prescription in all circumstances. The new study, published July 6 in Health Affairs, was the first to ask if there’s any evidence that medical cannabis is being used as medicine, senior author W. David Bradford told Reuters in a phone interview. The answer is yes, said Bradford, a health economist and a professor at the University of Georgia in Athens. “When states turned on medical marijuana laws, we did see a rather substantial turn away from FDA-approved medicine,” he said. Bradford AC, Bradford WD. 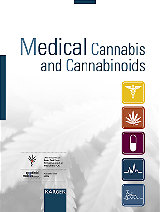 Medical Marijuana Laws Reduce Prescription Medication Use In Medicare Part D. Health Aff (Millwood) 2016;35(7):1230-1236. The British company GW Pharmaceuticals said its CBD extract Epidiolex met the main goal to reduce frequency of seizures in a placebo-controlled phase 3 clinical study. The company said the drug significantly reduced the monthly frequency of short-term seizures in people suffering from a rare form of epilepsy called Lennox-Gastaut syndrome (LGS). The trial randomized 171 patients into two arms, where Epidiolex 20mg/kg body weight per day (n=86) or placebo (n=85) was added to current medication. Japan prides itself on having a low tolerance for guns and drugs, but a tiny political party has become the first to support the medical use of cannabis. Japan outlaws owning and growing cannabis, despite a trend in advanced countries, such as Canada and the United States, to free up medical use. "Faced with this sharp gap between Japan and the rest of the world, the public are at a loss which to believe," said Saya Takagi of the New Renaissance Party (Shintō Kaikaku), founded by a former member of Prime Minister Shinzo Abe's ruling party. The idea of legalising medical use finds backers among Japan's growing ranks of senior citizens, who make up just over a quarter of the population of 127 million. The government says legalising cannabis for medical use is premature, without scientific proof. "We are not saying cannabis should be freed from all restrictions," said Minoru Arakaki, the head of the Japanese Clinical Association of Cannabinoids (JCAC). "All we are saying is, let's conduct research to see what harm and benefit it can bring, and let's use it if it turns out to be useful." Researchers at the University of Canberra will collaborate with the Israel-based company Cann Pharmaceutical to test the efficacy of medicinal cannabis in treating melanoma. The university announced a 1 million dollar deal to provide specific strains of cannabis, which will be administered to melanoma patients along with the current standard of care. In a study with 888 pain patients, those who were treated with opioids showed problematic opioid use in 52.6% according to DSM-IV. 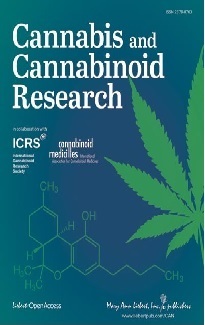 Among those, who were treated with cannabis prevalence of problematic use was 21.2%. Department of Psychology, Ariel University, Israel. A study with human nerve cells shows that amyloid beta, which is highly present in Alzheimer’s disease, causes inflammation. THC was shown to stimulate the removal of amyloid beta in the nerve cells, to block the inflammatory response, and to be neuroprotective. The Salk Institute for Biological Studies, La Jolla, USA. Instituto de Tecnologia em Fármacos-Farmanguinhos, Fundação Oswaldo Cruz, Rio de Janeiro, Brazil. An elevated concentration of the GPR55 receptor in human tumours was shown to be associated with the aggressive triple-negative breast cancer population, higher probability to develop metastases, and therefore poor patient prognosis. Activation of GPR55 by its assumed endogenous ligand lysophosphatidylinositol promotes metastasis. School of Biology, Complutense University, Madrid, Spain. An overdose of the antipsychotic medications paliperidone and olanzapine together with cannabis caused delirium, a confusional state, in one patient. University Psychiatric Clinic Ljubljana, Slovenia. Kokalj A, et al. BMJ Case Rep. 2016 Jun 22;2016.